In 1988, Marty Sink was a foster parent struggling with the foster care system when she was struck by a magazine article she read about Court Appointed Special Advocates. Founded by a judge in Washington State, CASA was a national nonprofit organization that trains volunteers to represent the interests of abused and/or neglected children through the complicated court system. Sink knew firsthand how difficult the foster care system could be, and decided to try and find an organization in New Hampshire that was similar to the one she had read about. But when she contacted the national CASA organization, she found that New Hampshire did not have its own chapter. So when the national board of CASA asked her if she would be interested in establishing a New Hampshire chapter, she took them up on the offer. In 1989, without any legal background, Sink began building CASA of New Hampshire from the ground up. 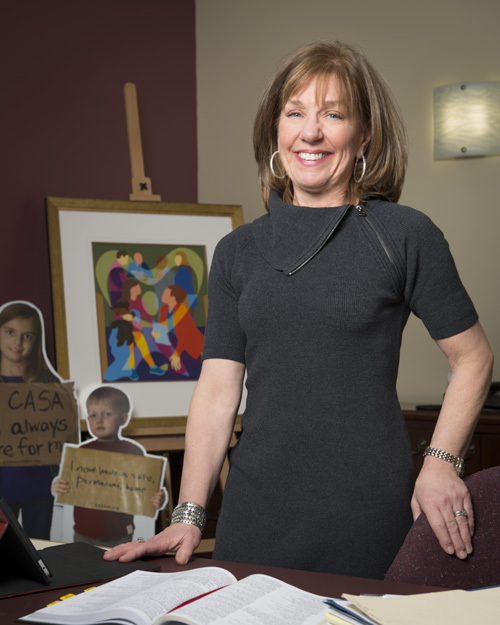 She started the organization in the courts in Manchester and Goffstown, and over the years gradually expanded CASA until it included courts statewide. CASA recruits and provides extensive training and support to regular people, who rarely have a legal background, to advocate for the best interests of abused and neglected children in courtrooms and communities. “After all, it was not about knowing how to practice law, but about gathering as much relevant information as possible and offering sensible recommendations concerning each child,” wrote Joann E. Neumann, development director of CASA, in her nomination of Sink. Since its inception, CASA has trained more than 1,700 volunteers who have have advocated for nearly 8,000 children in the state’s court system. The nonprofit currently has 460 volunteers and 21 employees who disburse and manage cases in six regional offices throughout the state – in Keene, Berlin, Colebrook, Manchester, Plymouth and Dover. Today in New Hampshire, CASA volunteers advocate for about 85 percent of all children who are abused and/or neglected in the state. Sink’s efforts with CASA have helped to have a tremendous impact on abused and neglected children in New Hampshire. According to 2010 statistics compiled by the National Child Abuse and Neglect Data System, child sexual abuse in New Hampshire has declined by 77 percent and child physical abuse by 57 percent since 1992. As an active member of the New Hampshire Attorney General’s Task Force on Child Abuse and Neglect, the former president of the national CASA board of directors, and a member of the New Hampshire Supreme Court’s Access to Justice Commission, Sink has dedicated her life and career to ensuring that children have the right to enjoy life in a safe and protected home. In 2012, Saint Anselm College recognized her outstanding work and awarded her with an honorary doctorate of laws and letters at its 119th commencement ceremony. A. Convincing the judiciary and child protection agencies that a layperson, with ongoing supervision and training, could be a completely successful guardian and representative was the biggest challenge. They were used to attorneys representing children, not volunteers who didn’t necessarily have the education a legal professional would. 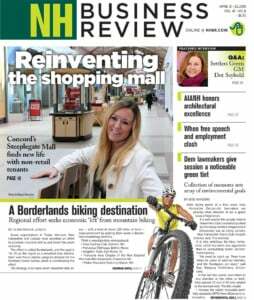 It was a new concept in New Hampshire at the time. A. I worked really closely with people in the national CASA office, but it was mostly instinctive for me. I think that what pushed me to do this was recognizing the tremendous need. Our children in foster care really needed someone in their corner so that they didn’t end up getting lost in the system. A. It was a challenge, for sure. I was committed to this work, but also very committed to my children. I’ve raised three boys, one of which is my adoptive foster child. It was really valuing my role as a mother, and knowing that that piece of my life was just as important as my professional life is. Having my children see my commitment to something that was making a difference in the lives of others was a really important role model for them, and that served as a benefit. A. Find something that you can really weave into your daily routine that you’re passionate about. I would chal- lenge them to find a way so that through their professional lives they are able to give back in a meaningful way.